We are getting the insurance cover from my Credit card at a heavy discount then why I should go directly to Insurance Co.? The product offered under credit card scheme has different risks covered also carries administrator cost at rate of Rs. 175 to Rs. 250 per person.So for a family of four it adds up to approximately Rs. 1000. The analysis reveals that going for the policy from the Insurance company is more beneficial in the long run as cost in Rs/Lakhs in the fourth year at Rs.807 is lower for Royal Sundaram insurance rather than buying the same through S.B.I. card. In September 2004, the following study was made on the basis of leaflet being circulated by S.B.I. card to its card holders. You may not like to stick to a credit card for a long time only because health Insurance was purchased through credit card .If you are not the credit card holder then you can not be a member of the group so you can not be-covered under the policy. You Will not receive renewal notice also and changes are you will be uninsured. Read the details in any such offer carefully and then only decide. Do not be impressed with 40% discount offer as it is shown in this leaflet"
Ques. I have no medical policy and I suffer from hypertension. Will I get a health insurance cover? Ans. Definitely you can get a health insurance cover, but hypertension would be treated as a pre-existing disease and it will get covered only after a period of 4 years. Diseases which occur as a consequence of hypertension will not be covered during first 4 years. However you get an option in the policy issued by New India and can get it covered from 2nd year onwards by paying 20% additional premium. By paying the additional premium you will get 50% coverage in the 3rd year, 75% coverage in the 4th year and 100% coverage from 5th year onwards. Ques. Please suggest a policy that covers regular check-ups and OPD treatments, including dental. Ans. Health insurance policies issued by non-life insurers do not cover OPD and dental expenses. 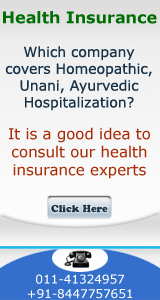 However, life insurers such as the Life Insurance Corp. of India (LIC) and ICICI Prudential have come out with health insurance plans that allow the insured to accumulate a health fund. The premium paid for these policies has two portions. One portion goes towards the hospitalization cover, while the other goes into a savings account. This account accumulates money over the years. The insured person can withdraw money from this fund to meet with OPD and dental expenses. 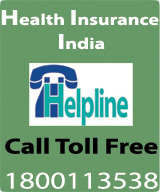 You have two options ICICI Lombard’s “Health Advantage Plus” and Apollo Munich’s “Maxima” Health Insurance plan. ICICI Lombard’s Health Advantage Plus covers OPD expenses from the first day of the policy. The OPD cover may vary from Rs. 2,000 to Rs. 10,000 depending on the plan opted and your age. You can claim OPD charges only once during the policy term, which means you will have to collect all the bills and get the reimbursements as and when the limit is reached. The Apollo Munich’s Maxima covers, cash- less OPD expenses across trusted network of pharmacies for pharmacy bills, diagnostic centers for diagnostic tests and annual health check-up, dental and optical care centers for contact lenses, spectacles and dental treatments along with consultation with family doctors. In Maxima OPD cover is sub-divided. The maximum benefit allowable for 1 adult is Rs. 8,500. In addition, both the policies do not allow, an insured person to claim OPD cost within 90 days of commencement of the policy.